Photo "Seven - five - three"
Shichi-Go-San (&#19971;&#20116;&#19977;) – means seven-five-three in Japanese. It is Shinto fest for children. 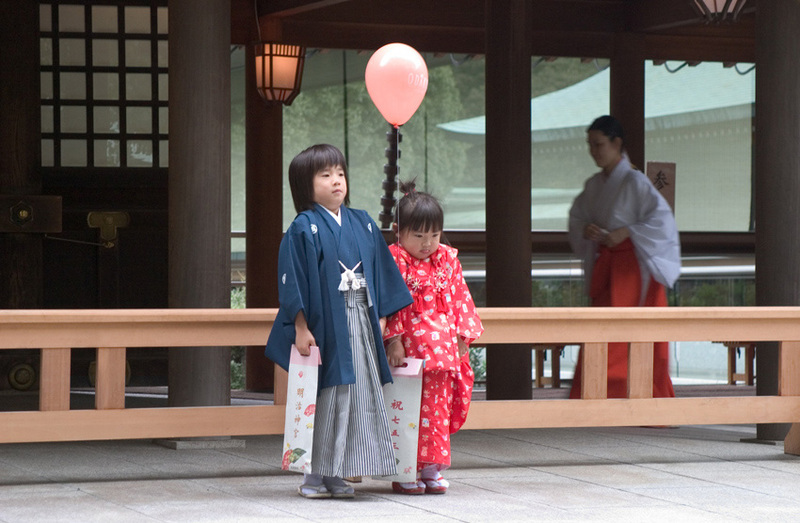 Those kids, who become 3, 5 or 7 during the current year, are to get blessings from Shinto monks. On this day they are dressed in beautiful kimono and brought to a shrine by there parents. A beautiful and lovely capture, Alex!! !